Mold can happen to anyone. Unlike dirt, which often accumulates because people don’t have the time to keep their homes perfectly spotless, mold typically appears as the result of an undiscovered leaky pipe, cracked foundation, roof leak, or flooding. It arrives unannounced and unwanted. Nonetheless, mold needs to be dealt with quickly because it can cause permanent staining, health issues, and irreparable damage to your possessions. For the best results, consider hiring Gainesville mold removal experts who have the right equipment and expertise to get the job done well. 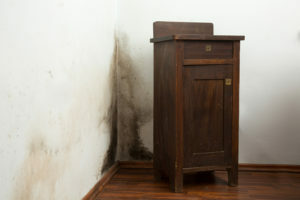 Mold needs damp, moist conditions to thrive. Therefore it often appears in damp areas such as basements and crawlspaces. Areas of the home where broken or leaky pipes exist are also likely to develop mold. In fact, it is more likely to grow in places that most people don’t see every day, including in the back of closets and underneath porches. The Environmental Protection Agency recommends preventing mold from growing in the first place rather than trying to figure out how to deal with it. This agency suggests that homeowners learn to monitor and control the moisture levels in their homes through the use of dehumidification systems and proper ventilation. If you discover an unusual growth that you suspect might mold due to its black coloring, you should consider hiring Gainesville mold removal experts who can identify whether the growth is toxic or not. If it is toxic in nature, special techniques must be applied during its removal to prevent cross-contamination.